Micromax recently unveiled its very first Windows Phone devices, the Canvas Win devices but they surely aren’t resting back. 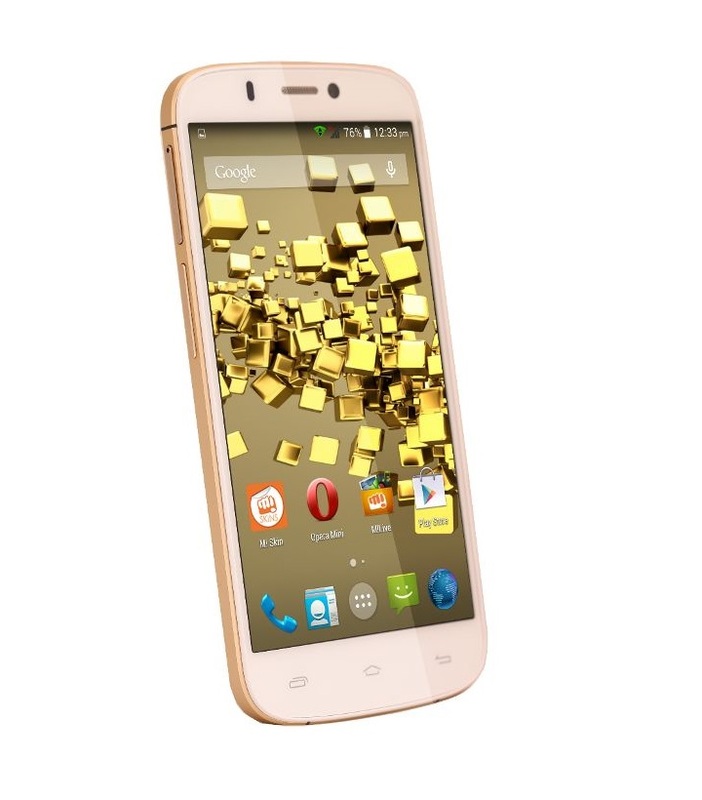 Their latest Android smartphone, the Micromax Canvas Gold A300 has gone on sale in India online. 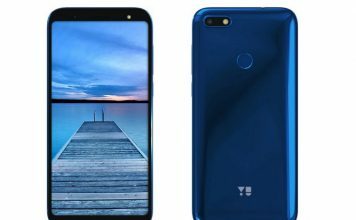 Micromax hasn’t revealed the device officially but we can expect the official announcements to happen soon, considering the device has already gone on sale online. The Micromax Canvas Gold, as the name suggests comes in two Golden hues: White Gold and Black Gold. 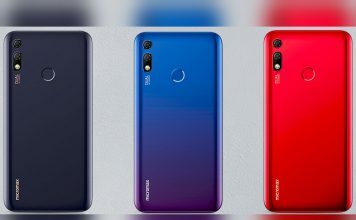 It has a full aluminium finished body and is reportedly, impressively thin at 6.9 mm. On the specifications front, it’s mostly identical to the Canvas Knight, which was launched earlier in the year but for a changed design, bigger display and Android 4.4 KitKat. The Canvas Gold features a 5.5-inch Full HD (1920x1080p) IPS display. 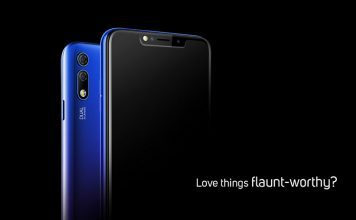 Under the hood, it is powered by a 2 GHz Tru Octa-core MediaTek MT6592T processor coupled with 2 GB RAM. There’s 32 GB of internal storage with 25 GB available to the user and 1.5 GB for apps. There’s no microSD expansion here. The Canvas Gold packs in a 16 MP primary camera with an LED flash and there are various shooting modes like Face beauty Mode, Live photo Mode, HDR Mode, Auto gesture Mode and Panorama Mode. On the front, there’s a 5 MP camera for all selfie loving people. A modest 2300 mAh battery is packed in the device and we don’t yet if the amount of battery will be good enough for a device with a .5-inch display. The latest Android 4.4 KitKat runs the show. Connectivity on the device includes Dual SIM, 3G HSPA+, Wi-Fi 802.11 b/g/n, Bluetooth 4.0 and GPS. The device is available at online retailer Infibeam for Rs. 24,000 and is listed to be shipping in 5-6 days, which means the official announcement is near too. 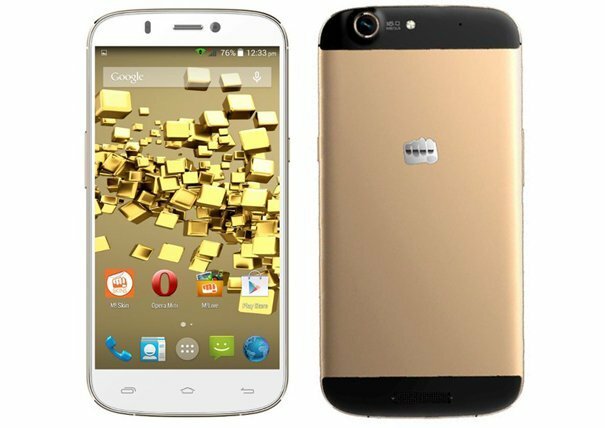 The Micromax Canvas Gold is quite a well thought device but at its price range, there are lot of good devices to give the Canvas Gold a tough time. At its price, it competes with the likes of Sony Xperia T2 Ultra, Moto X and Gionee Elife E7. Check out how the Canvas Gold compares against the competition. The Micromax Canvas Gold stands against the competition pretty tall and bold with its high-end specs. Our only qualm with the device is the seemingly modest battery and we would like to know how that performs in real life. Other than that, the device is great and with Android 4.4 KitKat on-board, there aren’t any worries. If you plan on buying this device, we’ll suggest you to go ahead, it shouldn’t disappoint you.